A tidy and sanitary office is crucial for quality work. Distraction lowers productivity, even on a subconscious level. Studies have also shown that business offices are a breeding ground for germs causing illness, which takes employees away from work, lowering productivity and work quality. A clean desk has shown to increase productivity. Stacks of papers and files and other items cause clutter, which also clutters your mind. It is recommended that after a task is completed, it is filed in the proper place. How many times have you thought, “where is that file, or paper”? It is estimated that workers spend over 4 hours a week looking for misplaced items and correcting mistakes. If someone else needs the file, it will be easily found if it is returned to the proper place. Productivity goes down and anxiety goes up when you are not able to locate what you need to complete the next task. Filing things and putting supplies and other items away will create a more open workspace which will result in less mistakes being made. Mistakes lessen productivity requiring a task to be done over. A clean work area, uncluttered the mind as well and also makes things easily accessible. The bottom line is that a healthy and productive workplace is not just keeping things in their place and immediately replacing files and other important papers. it is important to keep things like your computer, keyboard and other equipment clean and free of clutter. 10 sticky notes on your computer is cluttered are likely to fall to the floor. Having too many personal items on your desk is also detrimental. Put one personal item and find a shelf for other items you feel you need in your office. Employers should also require cleaning of electronic equipment, not only for health reasons, but for the maintenance and longevity of the equipment. A printer full of dust is going to break down. A keyboard with grime and bacteria will also stop working and will grow bacteria causing illness. You touch multiple files and papers, pens and other things in an office. Imagine the germs lurking from everyone that has touched these things. Keep hand sanitizer in the office as well. Healthy and organized employees are always more productive. A sanitary and clear workspace makes for a clear mind and healthy body that can focus on tasks at hand. If you have to go through stacks of paper looking for that one thing you cannot find, you will become anxious and frustrated, likely ending in a mistake. And, if there is bacteria on your desk and computer and throughout the office, illness is eminent, which will impede productivity. Take some time before the new year and get everyone to spend some time cleaning and organizing the office. It will make for a fresh, productive start to the new year. Spend some time at the end of the year discussing this with your employees and involve them in cleaning the office. Cleaning companies do basics and will not make your office sanitary. It will make for a fresh, more productive office and healthy employees who are at work and able to do their job. Start the new year off right! Did you know that even if your income statement shows that your business is making a profit, your business can still not succeed? Just because you are profitable on paper, you still might not have a positive business cash flow. And, without cash, your business simply runs out of money and has to shut down. Cash flow problems are one of the biggest reasons small businesses fail. The definition of business cash flow is pretty simple. It’s the movement of cash flowing in and out of your business. Cash comes in to your business when clients or customers pay for your products and services. Cash goes out when your business pays for expenses such as inventory and rent. When cash flow in is greater than cash flow out, you have a positive cash flow. When more cash is going out of the business than is coming in, the cash flow is negative. There are some times when a business can expect their cash flow to be negative. It’s important to plan for those times by keeping more cash in reserves. If you are just starting up, you may have many one-time expenses to get your business off the ground—such as equipment and advertising—before you get any paying customers. 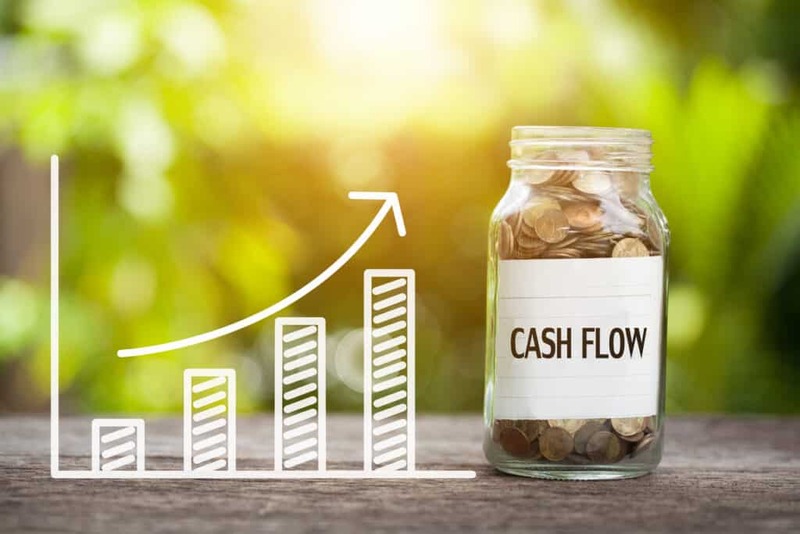 Also, if you are a seasonal business and experience fluctuations in orders based on the time of year, it is important to manage your business cash flow wisely. • How much is your company owed by clients? • How many invoices are still overdue? • How long does it take to get paid by clients after paying suppliers? If more items are payable than receivable, you may have a potential cash flow problem in your future. The sooner you fix a cash flow issue, the better off your business will be. If you avoid the issue, you risk getting further and further behind, resulting in the possible loss of your business. Financial advisors often recommend keeping 3-6 months of expenses in cash reserves for emergencies and unforeseeable situations. This advice carries over to business accounts, as well. Having cash in your back pocket for a rainy day may save your business in times of struggle. Small business owners must learn and maintain smart cash flow management in order to succeed and stay afloat. By applying some simple cash management strategies, you can keep your business thriving. Both your business outlook—and your business cash flow—will be positive. If business cash flow problems are creating concerns for your small business, invoice factoring may be a solution. Put your trust in the best and call American Receivable to learn how our flexible factoring solutions help businesses like yours. American Receivable, with offices in Dallas and Austin, is ranked No. 1 nationally among small-business factoring companies. Since 1979, we have provided small businesses with the financial resources and accounts receivable management strategies they need to grow, increase inventory, make payroll on time, and effectively compete in the marketplace. Simply put, we are your source for factoring and accounts receivable management. Our clients are our priority. At American Receivable, we pride ourselves on our exceptional customer service and dedicated and tenured account managers. We can provide funding within as little as 24 hours in some cases. The success of our clients is the success of American Receivable. Call us for a FREE quote today at 1-800-297-6652, or complete the quick quote form below. It is easy to get off track during the holidays. People are focused on the festivities, shopping and meals of the season and can lose motivation at work. It is important to keep your business on track at the end of the year as well. Keeping employees motivated and morale up will help guarantee continued success. There are many ways to keep morale up. You don’t have to break the bank. Simple gestures will do the trick. Decorate the office. Encourage participation from everyone. 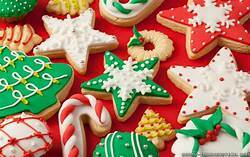 If you have a diverse office, into them to share different cultural traditions during the holidays. Have a catered lunch brought in once day. Let your employees know in advance and encourage everyone to share lunch and social time together. Have special festive treats available one or twice a week. Ask employees to share b bringing treats. This is a good time to share cultural or family traditions. Do an office or company wide Giving Tree. There are many options such as a coat drive food drive or toy drive. Another option is to adopt a family and provide for them during the holiday season. Have drawings once a week for gift cards in small denominations for coffee shops and inexpensive restaurants or cafes. Small gestures will make your employees feel appreciated and people who feel appreciated most often will work harder. All of the above suggestions will make for a great holiday season at the office. You know your employees, so come up with other small gestures of your own. Set a plan that fits your specific office.